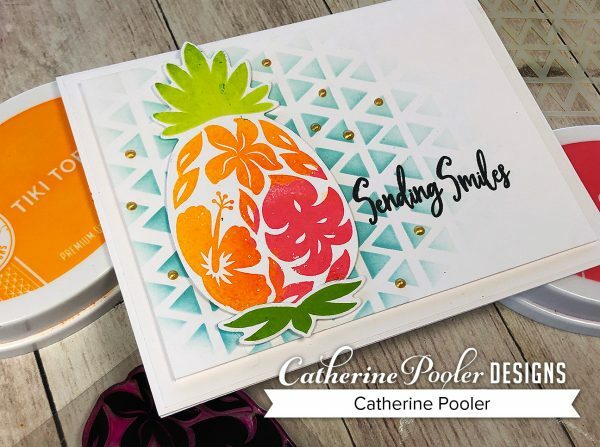 5 Ways to Use Pineapple and Smiles Stamp Set (and a couple bonus ideas! 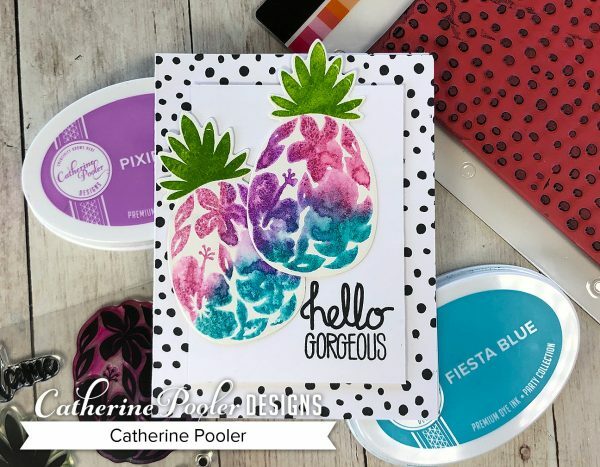 Recently, I was hanging with some of my stamping friends (were you there?) 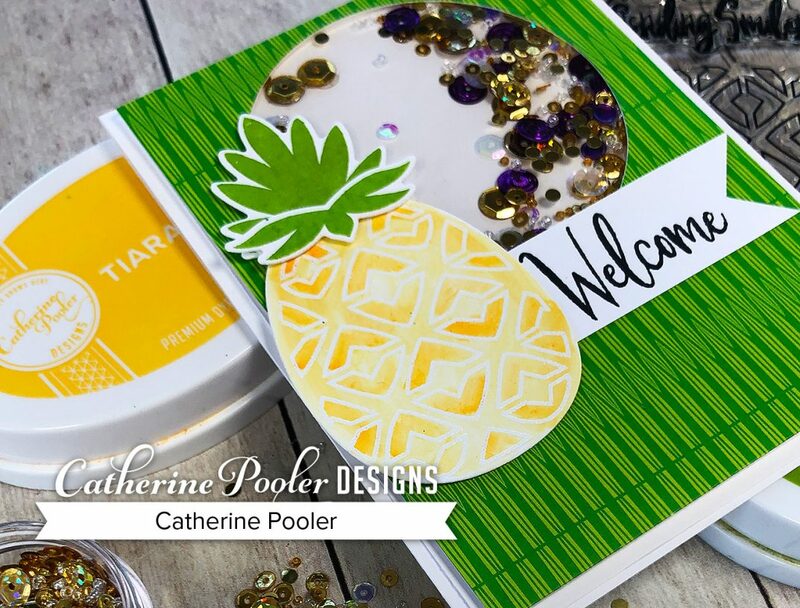 on Facebook Live and pulled out the Pineapples and Smiles stamp set and had a blast. 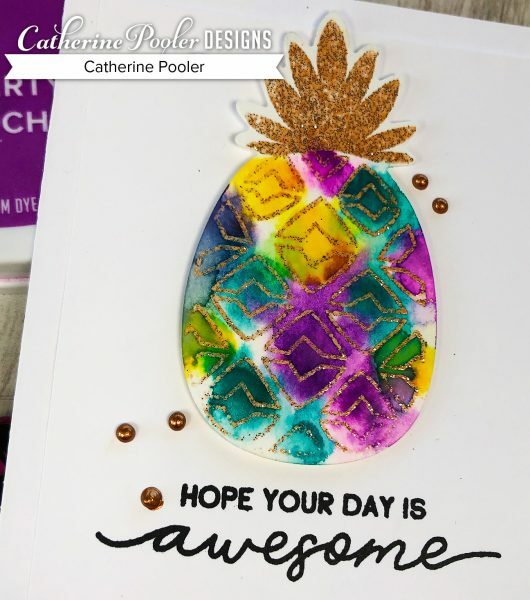 I stamped, embossed, ink blended, water spritzed and ended up with a funky tie-dyed looking pineapple! The tropics are calling, my friends! 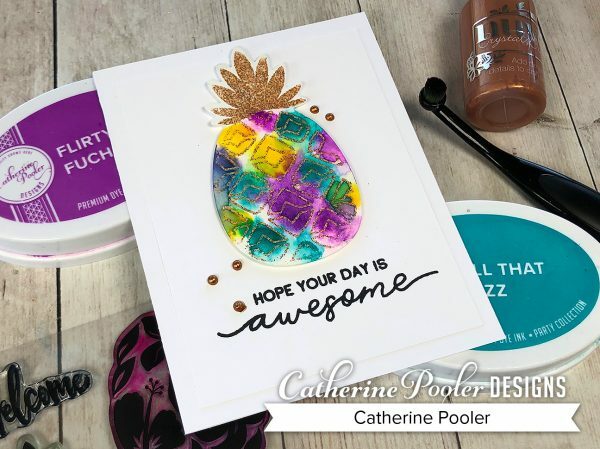 I created cards using ink blending, embossing, coloring and watercolor… view the video to see how they were made! 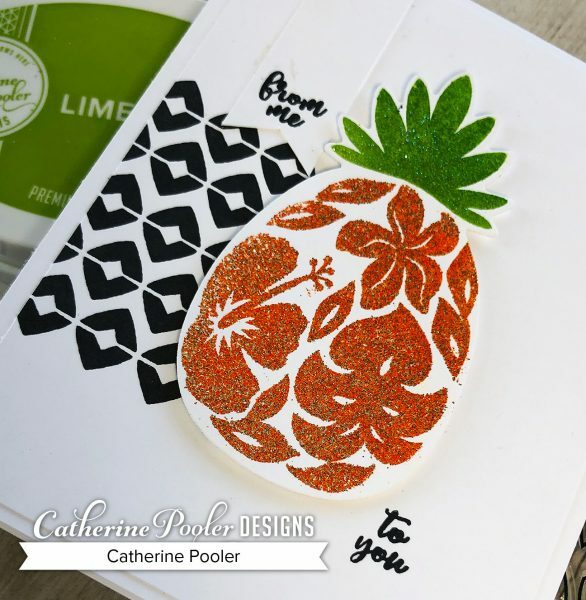 Sunset Blvd Embossing Powder and Melon Ice Embossing Glitter over Lime Rickey Ink. 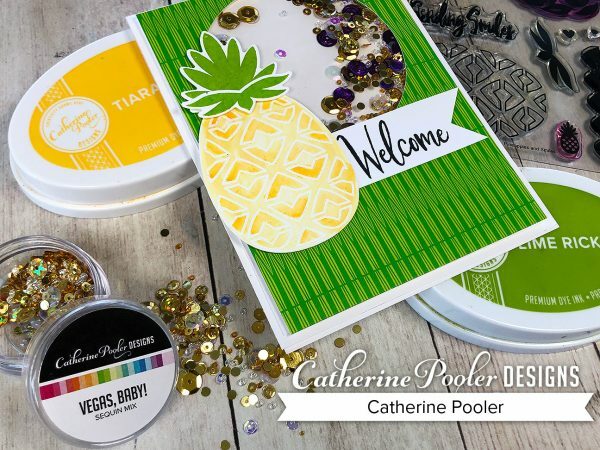 This card was created by using Embossing Glitter and sponging ink over the top. Spritz water over the ink and let it sit and dry to create this cool tie dye effect. This close up makes me swoon! This pineapple was created by embossing with White embossing powder then coloring Tiara and Tiki Torch ink over the image. It was the perfect accent for this shaker card! The last card was created with three different ink colors. Ink the stamp up, spritz with water and stamp. Let it dry and it gives this really cool watercolored look! 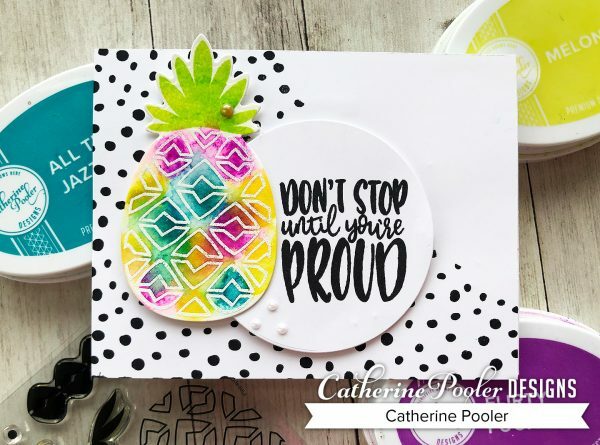 I hope you are inspired by these fabulous ways to use the Pineapple and Smiles Stamp Set! It's more versatile than you may think!